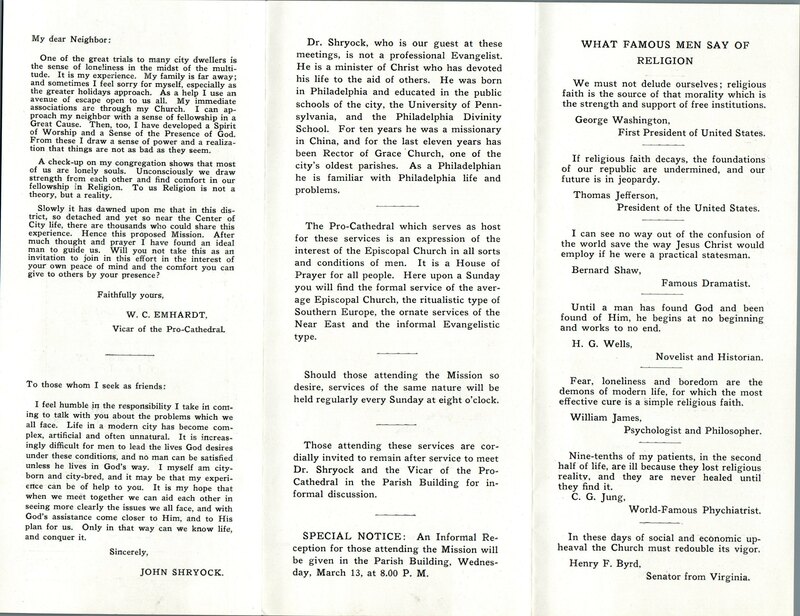 This entry was posted in Grace Church (Philadelphia), Pro-Cathedral of St. Mary and tagged Archives of the Diocese of Pennsylvania, Center City, John K. Shryock on June 14, 2017 by mjk38. 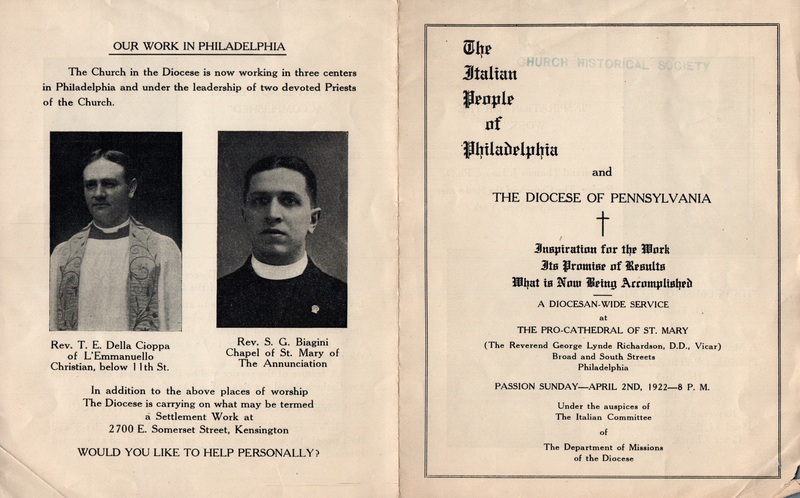 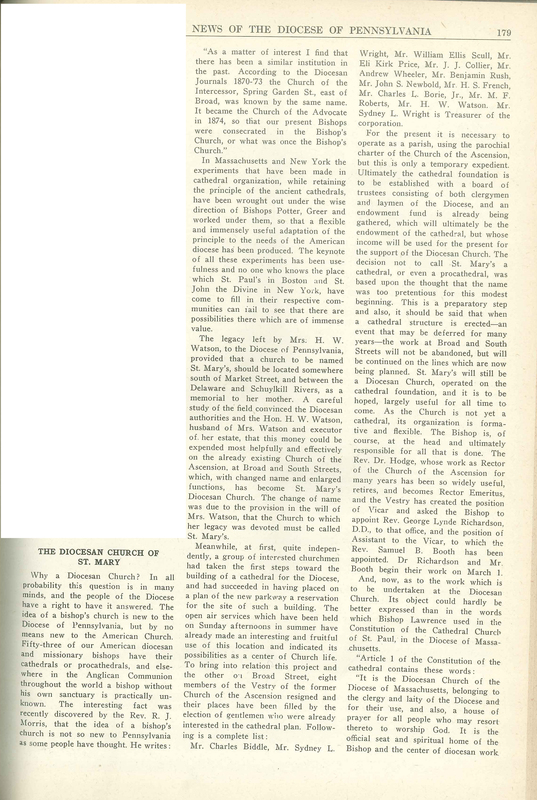 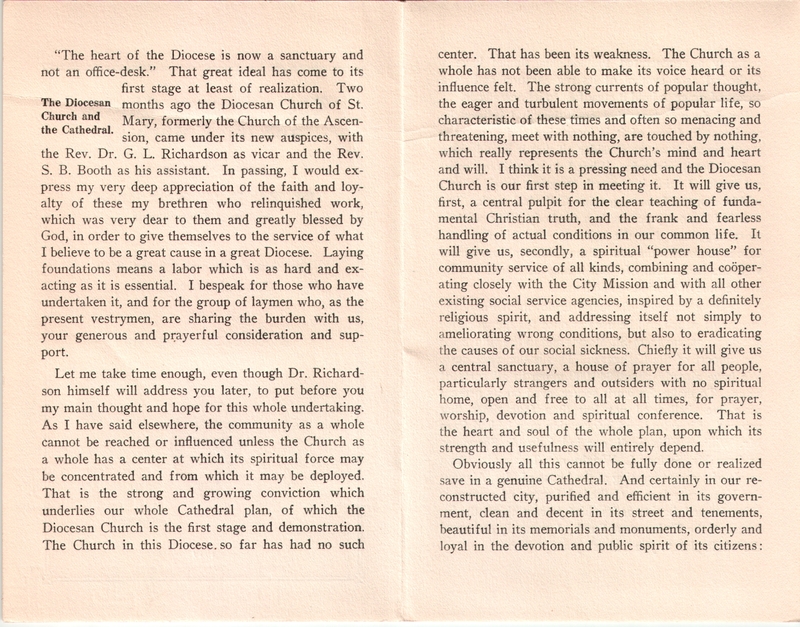 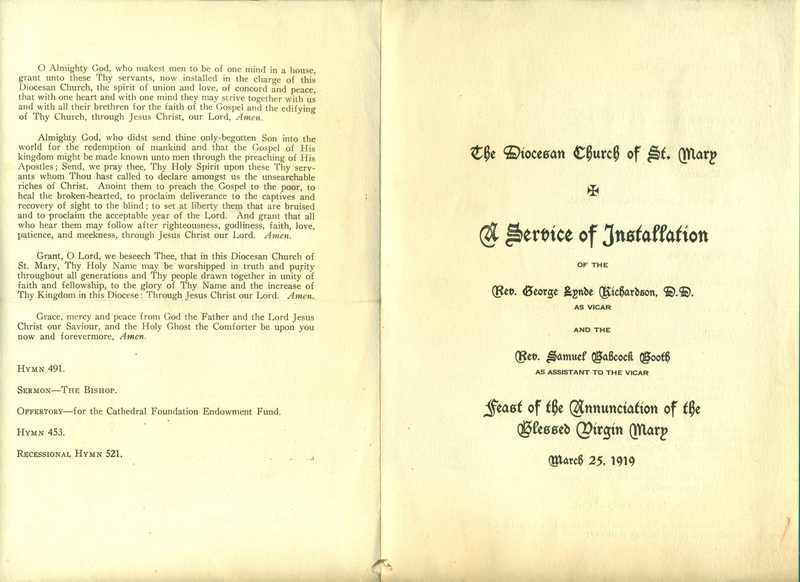 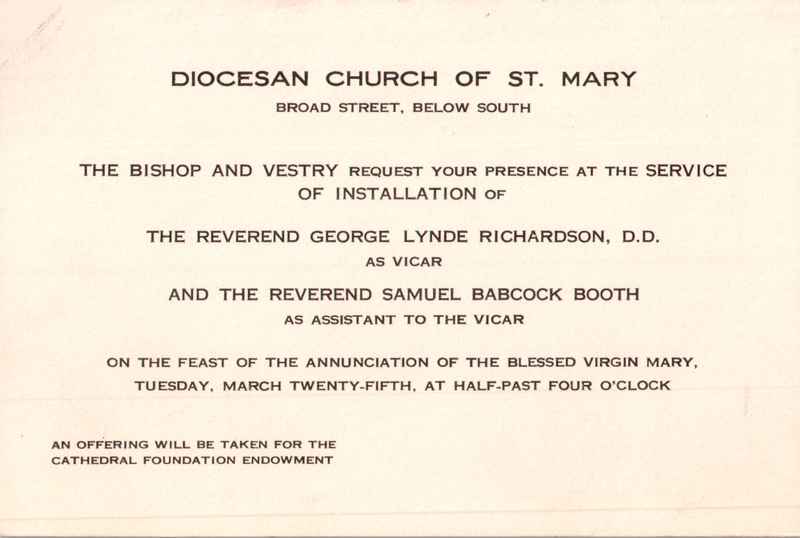 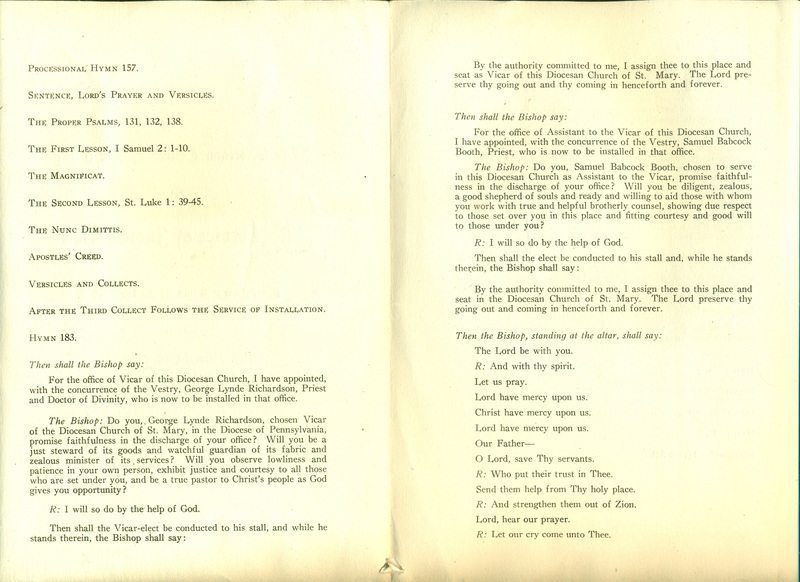 This entry was posted in L'Emmanuello (Italian), Pro-Cathedral of St. Mary, St. Mary the Annunciation Church (Italian) and tagged Archives of the Diocese of Pennsylvania, Center City, George Lynde Richardson, Italian-Americans, Silvio G. Biagini, South Philadelphia, Thomas Edmund Della Cioppa on June 3, 2017 by mjk38. 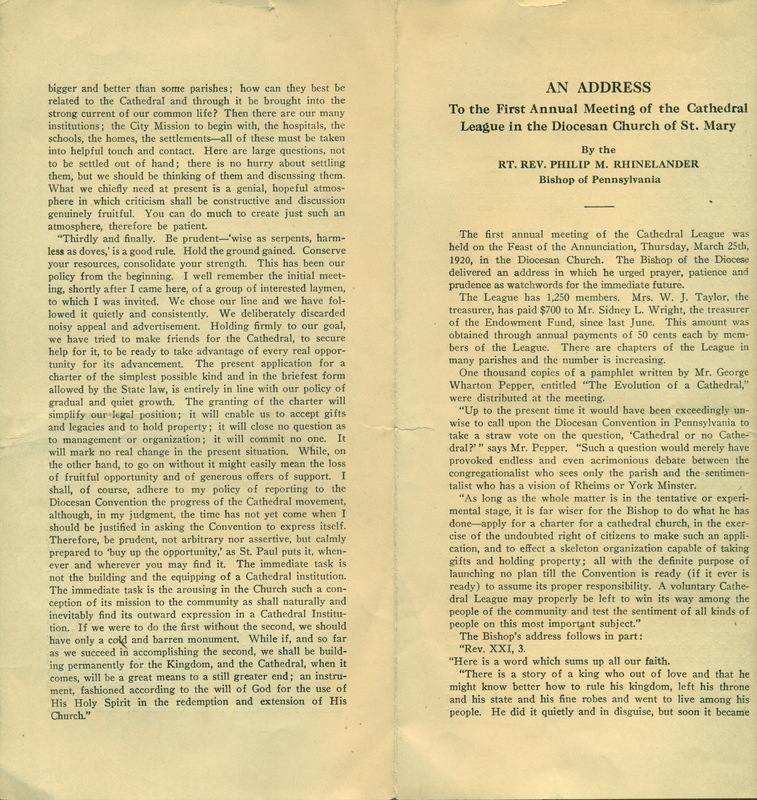 This entry was posted in Cathedral Church of Christ (Roxborough), Pro-Cathedral of St. Mary and tagged Cathedral League of the Diocese of Pennsylvania on August 31, 2016 by mjk38. 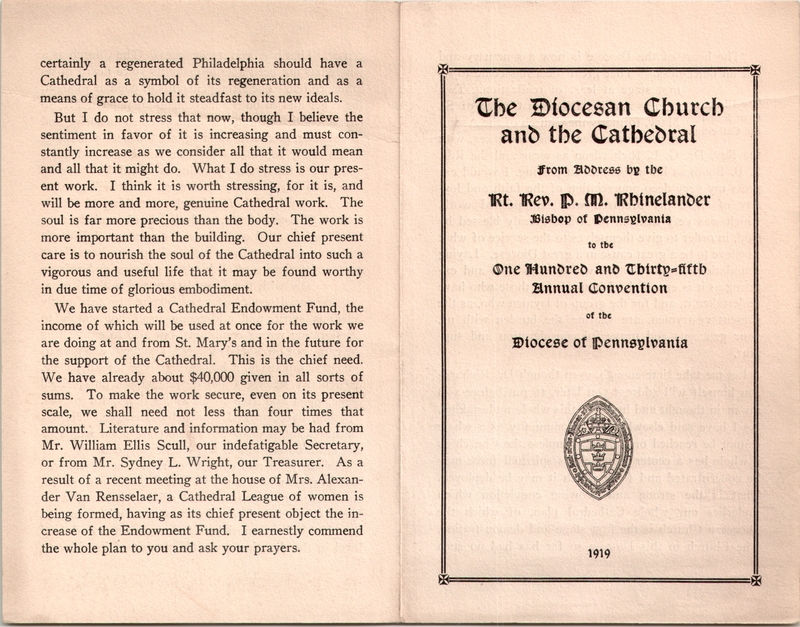 From the collection of Kirk Berlenbach, rector of St. Timothy’s Church, Roxborough. 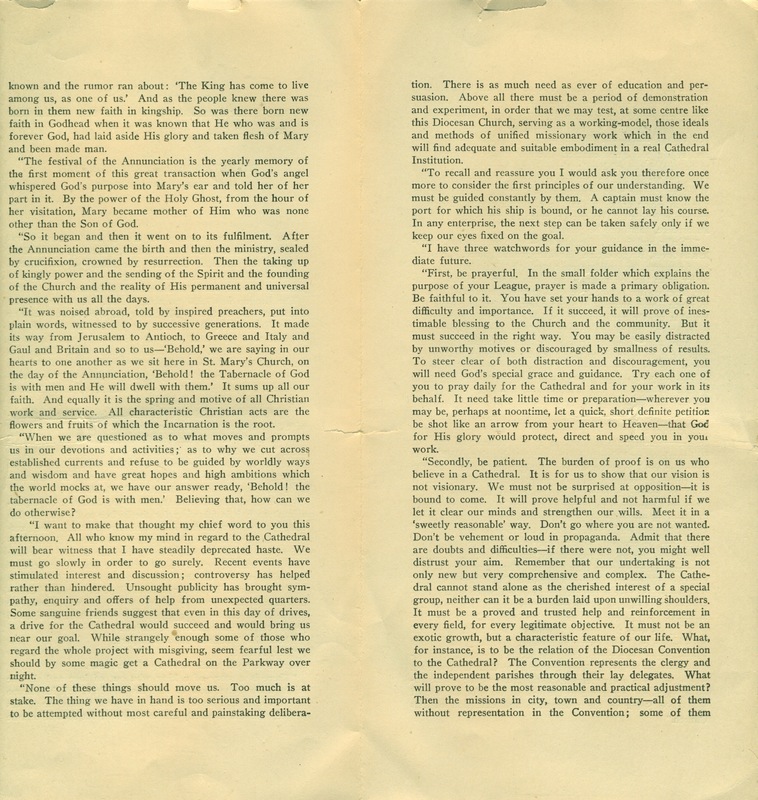 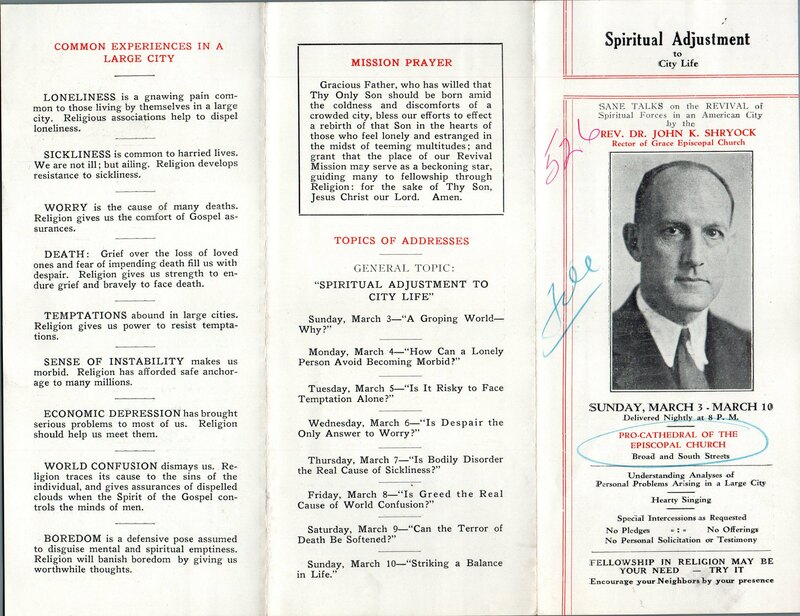 Click on the image to access the pamphlet. 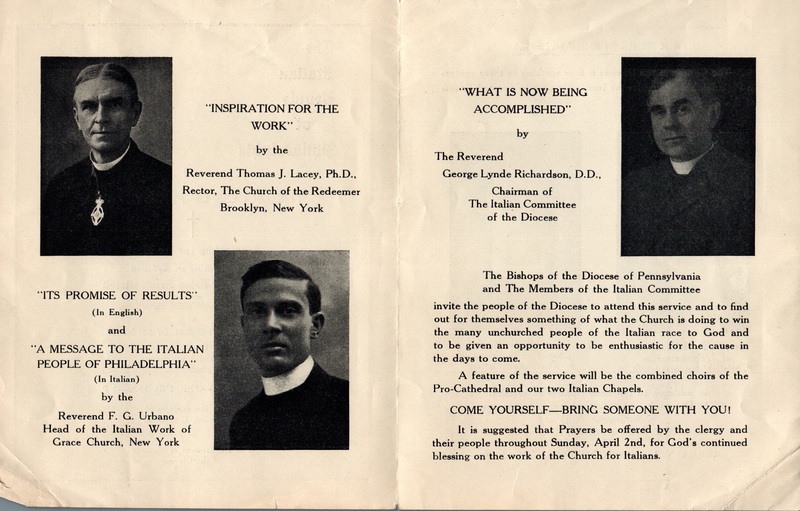 This entry was posted in Pro-Cathedral of St. Mary and tagged Center City, Italian-Americans, Thomas Edmund Della Cioppa on July 1, 2016 by mjk38. 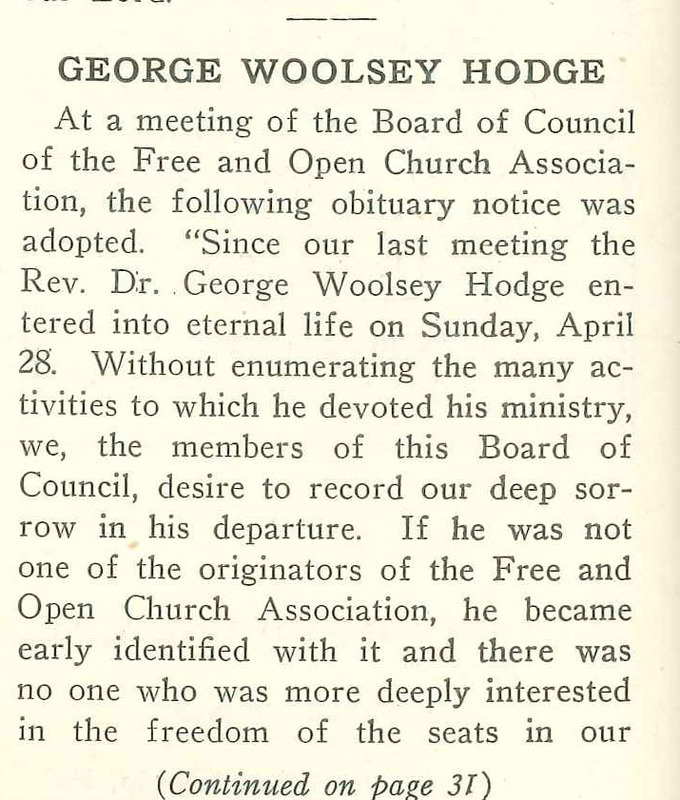 This entry was posted in Christ Church Chapel, Church of the Ascension, Pro-Cathedral of St. Mary, St. Andrew's Church (Philadelphia) and tagged Anglo-Catholic Parishes, G. Woosley Hodge on August 31, 2014 by mjk38.